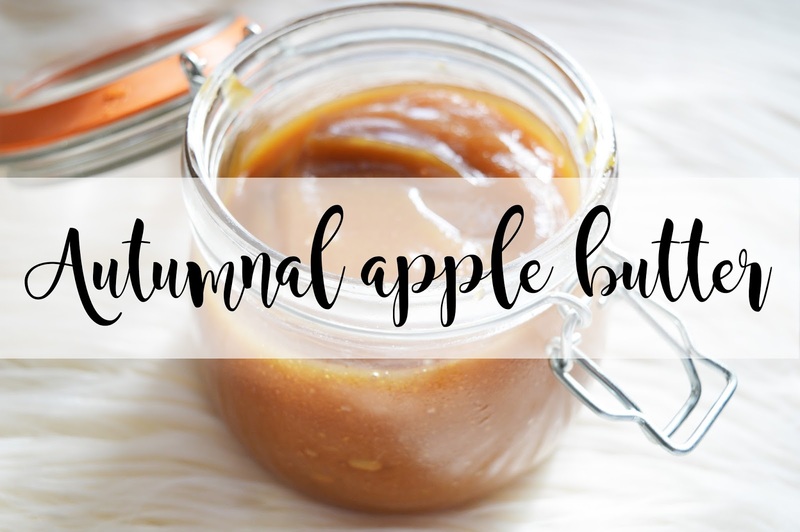 I recently heard of apple butter and was rather intrigued of what it was and searched it on the internet however every recipe I found used apple cider. However we only had pear cider to hand and I really couldn't be bothered to go to the shop to buy some apple cider just to make apple butter. As well as this, every recipe expresses you need to cook this on a hob and then in an oven for around 3-4 hours, well of course that's not going to happen! I also made this during the week when the UK had a heat wave so having my oven on for 3-4 was a no chance! So it was time to use my baking instinct and just wing it and hope for the best! So if you want to know how to make Apple Butter which is perfect on pancakes, waffles, bread and even in your porridge, then carry on reading! Add the brown sugar and apples to a saucepan, cover and cook till it's boiling and then turn down to a simmer till apples are soft. Add in the cinnamon, all spice, vanilla extract and lemon juice and stir. Carry on cooking on a low heat until the mixture is a golden/dark brown. Take off the heat, pour into a blender, and mix until it's a smooth consistency. Pour into jars or containers and leave the lid off until the apple butter is cool. Then place the lid on and transfer to the fridge. The thought of Apple butter was slightly scary. I weren't sure what it was, how it was made or what you used it for and trying new things which I'm not used too is also very worrying, especially when I haven't heard of it before! Nevertheless, this is absolutely amazing! I have yet to try it in my porridge, however in the colder months (aka now, it's freezing) I really think this would taste incredible! And you wouldn't need to put any sugar into your porridge either!